My greatest love is for music, but I rarely write about it because it’s hard to write about something you’ll only end up gushing over. However, last year I started a tradition of sharing my favorite albums of the year. Here are the 10 (plus a few) albums that shaped 2014. I listen to different genres of music based on the season like any decent human being. I typically reserve my extensive collection of moody indie rock for the winter, and Copeland must have had the heads up. Ixora swooped down upon my Christmas music playlist and took over my December listening. From questions like “what if you can’t turn back when you’re finally tired of running?” to the haunting ‘Ordinary’, where Marsh describes a relationship where “we laugh just like yesterday/and I kiss you like the day before/and I hold you just like ordinary,” this album makes me feel all of the feels. Add in the subtle keys and low-pulsing drumbeats, and Ixora will not only be on your feelings playlist; it will be your feelings playlist. As a relatively new Dallas resident, I like to not-so-casually mention how St. Vincent is from Dallas to anyone who will listen. 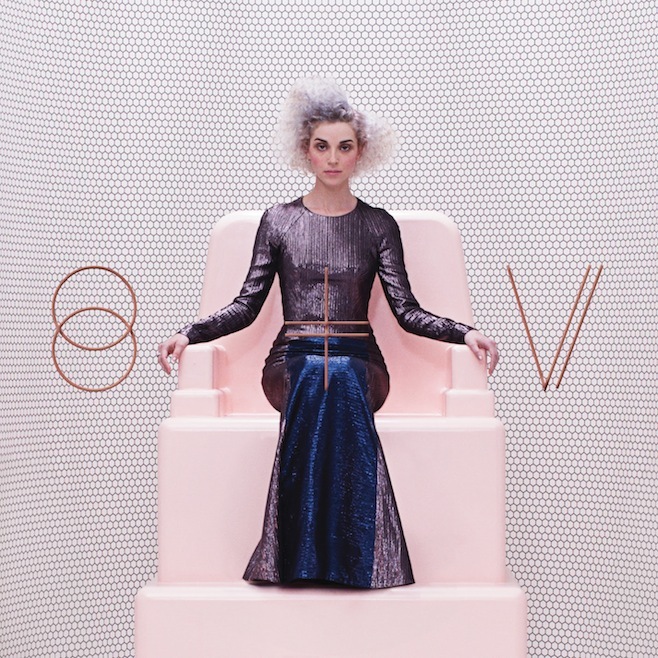 St. Vincent was the quirkiest, most wonderful thing to happen to my ears this year. It is an album that questions the digital age we live in (“if I can’t show it, if you can’t see me/what’s the point of doing anything?”) in search of some solitude (“follow the power lines back from the road/no one around so I take off my clothes”) and sincerity (“the truth is ugly, well, I feel ugly too”)—all while bouncing through upbeat guitars and grooving synthesizers. But St. Vincent is strongest when it slows down for an ode to her dying mother, confessing, “I prefer your love to Jesus.” Annie Clark explained that she wrote this song because people try to console you with religious hope when someone is dying, but the reality is that these messages are not always helpful in a moment of overwhelming grief. Here’s to an album that finds beauty in the ugly truth. This is the most aptly-titled album of the year. London’s debut is full of funky vibes and dance numbers, as he effortlessly moves from crooning to rapping and back again—often on the same song. The Kanye-produced album is polished but not overproduced, as we’ve come to expect from Mr. West, and Yeezy even throws in a vintage-sounding verse on ‘Can’t Stop’. London clearly has a great career ahead of him, and he knows it: “Right ‘bout now reset your clock/to our time now/yeah you was with the —- all summer but/I shine now.” Keep the good vibes coming, Theo. On the note of crooning to rapping and back again, there is my boy Ed Sheeran. He is not the next Macklemore, but the lyrical genius of Sheeran kept X in heavy rotation on my iPod this year. You would probably never make a playlist that mixes slow romantic numbers like ‘One’ and acoustic raps like ‘Take It Back’, if it weren’t for the lyrical bravado that Sheeran loops into even the sweetest sentiments: “All my sins have come to life/when I’m stumbling home as drunk as I have ever been/and I’ll never leave again/’cause you are the only one.” The album’s highlight is the sweetly sad ‘Afire Love’, where Sheeran mourns the loss of his grandfather: “My father told me, ‘Son, it’s not your fault he doesn’t know your face.” As the song climaxes with a dramatic memorial service (“my father and all of my family rise from their seats to sing hallelujah”), you can feel the genuine sense of loss and love that Sheeran captures so perfectly throughout X. On Lana’s second album, her bittersweet tunes lose a little sweetness and are better for it. “I’ve got your Bible and your gun/and I’m finally happy now that you’re gone,” she sings on the six-minute opener ‘Cruel World’. Produced by The Black Keys’ Dan Auerbach, the dark tone is set for Lana’s ever-improving brand of moody mystique. A cloud seems to hang over both the music and lyrics of Ultraviolence, and when Lana explains that she “can’t do nothing about this strange weather,” you’re just thankful she is there for your rainy day blues. Apparently John Legend and Adele had a baby behind all of our backs, and he grew up to become Sam Smith. In The Lonely Hour was my most-played album of the year, because—simply—the guy can sing. And not only sing, but capture the emotions of love lost or love never had; it truly feels like the follow-up to Adele’s 21. “I’ll watch where I trip before I fall,” he laments on ‘Good Thing’. Sam Smith said that he made the album gender-neutral so that no one got hung up on his sexuality and missed the message he was trying to convey. 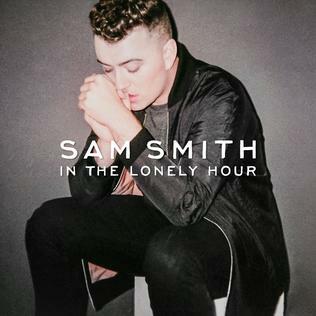 Hopefully In The Lonely Hour will help people appreciate the universality of pain and heartbreak and free artists like Smith from having to tiptoe around honest, soul-baring expression. I strongly believe in having no guilty pleasures. As writer and artist Austin Kleon argues, if you like something you shouldn’t cheapen it by feeling guilty about it. 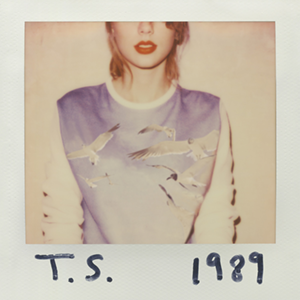 With that, I proudly place 1989 at #3 on my year-end list. Swift has truly come into her own, as she sheds the “country” labels that never seem to fit her just right and embraces her incredible pop sensibilities. From the brilliance of ‘Blank Space’, where Swift expertly details the masks we wear at the beginning of relationships (“find out what he wants/be that girl for a month”), to the devastating ‘Wildest Dreams’, where Swift requests one last thing at the demise of a relationship (“say you’ll see me again/even if it’s just in your wildest dreams”), 1989 displays Swift becoming fully relatable as a lyricist. As she matures as an artist and a person, her lyrics have moved from revenge-seeking and promise-making to moment-embracing (“I know places we won’t get found/and they’ll be chasing their tails trying to track us down”) and sincere personal reflection (“and by morning, gone was any trace of you/I think I am finally clean”). With “no role modelz” in sight, he takes you on a journey through his rise to fame, his loss of focus on what matters, then his awakening to his true mission as an emcee. On “G.O.M.D.”, Cole begins by bragging about his success (“I put my city on the map/but let me tell you ‘bout it”), echoing the boastful raps of others in the hook. 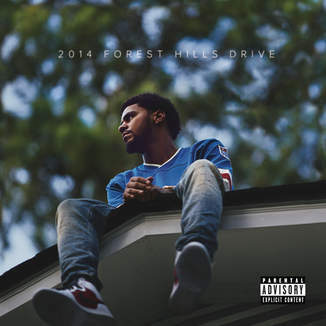 By verse two, however, he takes a 180 turn to vulnerability: “Lord, will you tell me if I changed?/I won’t tell nobody.” It is the turning point of the whole album, as Cole drops the boasts for thoughtful insights he’s gained (“ain’t no life that’s better than yours”), those he misses (“I thought about that little kid/and I thought about the things we did/I always thought that we would be together”), and those he holds closer now (“wish that you could live forever/so that we could spend more time together,” he tells his mom on ‘Apparently’). In a time when we need more rappers speaking up and using their position to spread messages of hope, J. Cole poises himself as a leader for the new generation of hip-hop. 2014 was a year of ambivalence for me. I went through a lot of growing pains and experienced both great moments of joy and great moments of unknowing, doubt, and regret. Strange Desire provided the perfect soundtrack for growing when it hurts. As the album opens, Jack Antonoff looks back, sitting “with the echoes of lies that I told.” Confessions like these (another favorite is “I keep finding my way to the harshest words”) make this album deeply relatable for its admissions of regret. It is also a challenging listen, as Jack seems gripped not by the regret but an overwhelming sense of love (“if you’re feeling small, I’ll love your shadow”) and hope (“I was broken till I wanted to change”). If you’re in a dark place, Strange Desire will empathize, but it won’t allow you to stay down. Instead it pushes you with the theme of self-reflection and improvement (see the lead single and most inspirational song ever made, ‘I Wanna Get Better’) to lift yourself up and treat others better. I could sit here and quote the entire album, or I could tell you to trust me that it’s as good as I’m making it out to be, but I would prefer you just buy it and hear for yourself. And that goes for the rest on this list. What albums did I miss this year? I am always looking for more to love.